I’ve long been a collector of comics – as Mrs Earth-Prime can attest, I have boxes full of the things, not to mention shelves groaning under the weight of trade paperbacks and while I have a steady stream of new comics coming in each week, I’ll occasionally pick up runs of series I missed first time around. Over the last few years, for example, I’ve picked up the John Ostrander Suicide Squad, the complete Darkstars and a couple of mini-series, not to mention the various tie-in issues for the annotations I’m working on. A few months ago, I joined Comixology more out of curiosity than anything, and ended up buying the digital version of Crisis on Infinite Earths because it seems I was unhappy with only having three versions of it already. 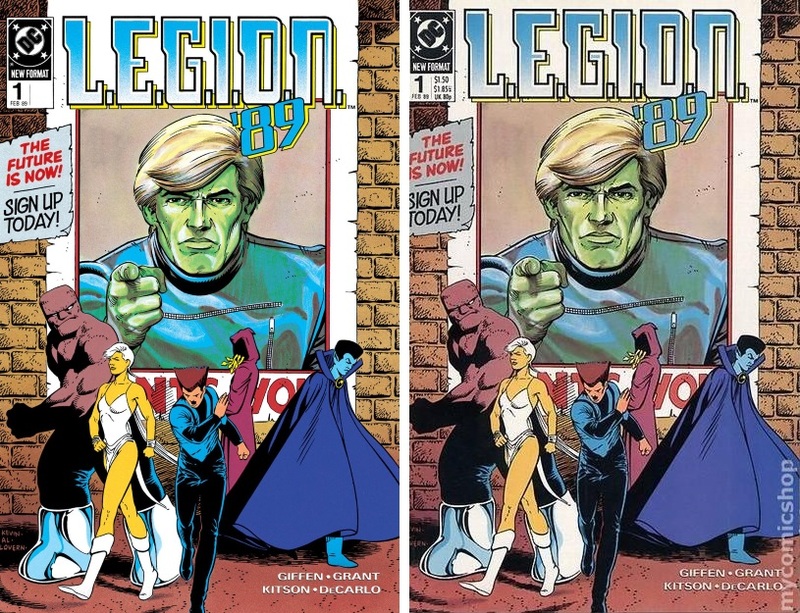 Looking through the site yesterday, though, I noticed they have the complete run of LEGION from the late 80s and early 90s, a series that I was tempted by at the time but back then I only had so much money for comics. Every issue is £1.49 which (as I already have a couple of crossover issues with series I was collecting) means I’d spend about £100 and have the entire lot stored in the cloud within minutes. Or, I could go to My Comic Shop and pick up the back issues; most of them are $1.35; with postage that would be approximately £120 and would take between 8 and 14 days to arrive . . . but they’d be in my hands as opposed to on screen. It comes to something when the deciding factor isn’t price but format. Digital on the left, print on the right. Posted on Tuesday, September 20, 2016 Monday, September 19, 2016 by GaryPosted in UncategorizedTagged LEGION. Previous Previous post: A More Hopeful Justice League?